The life in today’s world is meaningless without internet. Right from buying the groceries to a piece from the latest designer’s collection, we depend of the internet to do our purchases. If you are someone who is looking forward to venture into the online business sphere, Ecommerce platform is one of the great ways to earn more money. 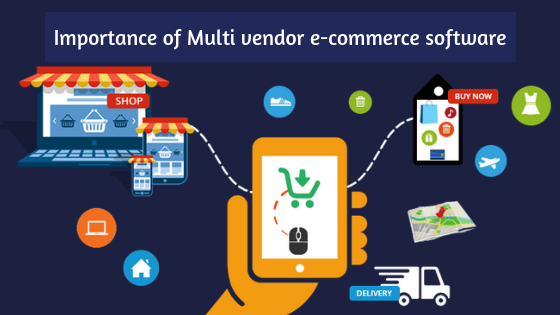 Multi vendor Ecommerce MLM Software provides you with a readymade platform for your marketplace website. People prefer to shop online in order to make their shopping very easy and in a manner, efficient. We can save a lot of time and energy from by shopping online. With the gigantic success of websites like Etsy and ThemeForest, multi-vendor eCommerce software has witnesses a booming demand. They have become probably the most popular way to sell both physical and digital products. They provide a very convenient option to host third-party vendors. Customers are very happy since they get to choose from a wide selection of products, and you will be happy because you get to charge vendors a commission. The unique functionality of such multi-vendor marketplaces require a specialized software to manage the system efficiently. What is multi vendor ecommerce platform? Multi vendor ecommerce platform is a platform where a multiple number of sellers can create their profile and add unlimited products for they want to sell. You must all be familiar with the different retailers selling their products on very popular online portals including Snapdeal, Flipkart, Amazon, etc. A sale management system of this kind is called the multi vendor marketplace where the sellers from different origins sell their products after creating their profiles. Now, let’s take at the 5 best platforms for multi-vendor eCommerce marketplaces. Marketify is one of the most popular WordPress themes which integrates with Easy Digital Downloads to create multi-vendor marketplaces for digital products. It is very much affordable when we look price-wise and easy to use because of the familiar WordPress interface. Marketplace is one of the popular extensions for Magento. It turns into a fully-functioning multi-vendor marketplace. Magento is one of the most robust multi vendor ecommerce platforms we have out there. Sharetribe is a service that is aimed exclusively to create multi-vendor marketplaces.the main difference of Sharetribe from the other options is that it lets you create a marketplace for all your products, services, or rentals. The multi-vendor version of CS-Cart is full of a number of essential features but is a little on the pricier side. The multi-vendor edition comes with a multi-vendor functionality that is integrated from the ground up. Hence it feels more cohesive than the others above which rely mostly on extensions. 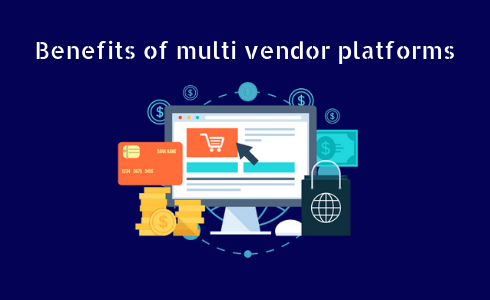 What are the benefits of multi vendor platforms? It gets extremely costly to set up a store. The merchant can get rid of this cost of establishing a store for which a huge infrastructure is needed. When a merchant creates a profile on a multi vendor ecommerce platform, he can run his business operations in a seamless manner. This a jackpot, considering the fact that setting up an individual online portal is a costly affair. When a merchant shares the ecommerce platform of a reputed online portal, then it is a very obvious fact that the particular merchant will get a greater web presence. Hence, multi vendor e-commerce software is a great advantage for the merchants so that they do not need to look for an alternative for creating a web presence. The concept of multi vendor ecommerce platforms has developed a cost effective way for the merchants to get listed on the prestigious ecommerce platforms in a an affordable way. They do not have to pay for ecommerce website design, store setup or staff requirements at all. Therefore, it has been so much of help for the online retailers. Most of the popular multi vendor ecommerce platforms permits the merchants to add unlimited products and present them for sale to the customers. This facility allows the retailers to sell as many products as they want in any particular category. They just need to provide the specific information about the particular product so that it can be listed. Our open source multi vendor e-commerce software is extremely easy to use for every customer, merchant and the admin. Each of the products page has the wide range of details about the product along with the product image, description of the product and the price. So the customer can choose the products more easily to buy. We also have additional features like affiliate module, currency converter module, different payment gateways, social login, Multi-language, Invoice module, advanced search option, multi-city features, admin and vendor management, wishlist, product tag management, newsletter, compare products and so on. Check out Free MLM Software Demo & Contact us today!